Armored Warfare heading into Open Beta is an incredibly exciting time for the team here at Obsidian. After several years of development, and months of Early Access Testing, we are looking forward to showing off everything we’ve created. We want to thank you, our fans and the community, for all their support, input and all the great feedback we’ve already received. Your passion for the game, and ongoing input, is critical to making Armored Warfare a success. Open Beta is a big step forward for us, and it’s one that will bring new challenges, as we test our game services and features with more gamers than ever before. However, these are challenges that we are really looking forward to with Armored Warfare. Getting to make the game better based on how you play the game, and your insights, is something we have been looking forward to for months and months. And, while that is all going on we are continuing to move forward creating new maps, new vehicles, and some cool new features we will talk about soon. It’s really an exciting time in Armored Warfare land right now, and for the months, and years to come. –Feargus Urquhart, founder of Obsidian Entertainment. Players can pick up these Collector’s Editions at the Armored Warfare official website here. 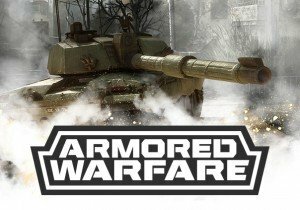 Armored Warfare will continue to receive regular content updates throughout its Open Beta, including new PvP maps, new PvE missions, additional vehicles through brand new dealers, improvements to the Base system and more leading up to the game’s official release. All player progress and items purchased in the Open Beta will carry over to the full release.